The Galaxy S II was Samsung’s 2011 flagship, but it might get resurrected in 2013 in a mid-ranger named the Samsung Galaxy S II Plus, according to an anonymous source speaking for Sam Mobile. We can’t say how trustworthy this is, but we have already heard about such a device, and last month it even appeared on the AnTuTu benchmark, so we wouldn’t rule it out. The possible arrival of the Galaxy S II Plus would mean that Samsung is adopting a very Apple-like and actually pretty logical approach to the market. What do we mean? Simple, Apple is using its older high-end products to today’s mid-range. Often, Apple would even pick up an old technology like the iPad 2 and use its screen and processor in new products like the iPad mini. This allows it to save some resources and be certain that there will be less or no manufacturing problems. 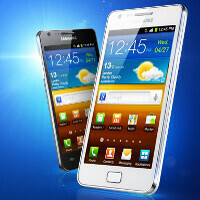 The original Samsung Galaxy S II was a dual-core 1.2GHz processor and a 4.3-inch 480x800-pixel Super AMOLED Plus display. The new Galaxy S II Plus may or may not come with similar characteristics, but rumor has it that it will feature Android 4.1.2 Jelly Bean, and Samsung’s Nature UX skin. The device should be announced in December or January, if those whispers about it are true, so stay tuned. I'm expecting nothing less than a dual core S4 snappy and a display of 720p!! And that's the reason i added "nothing less than"... Which also means...it could be better than what i wrote! For that specs you can buy GS3 GS2 plus specs will largely stay the same as GS2 I guess. It won't sell if it's anything less than S3 would it?? It would be utterly meaningless!! It won't sell to ppl like u obviously, but a lot of people want cheap good phones. if you look at the specs of the galaxy s plus & galaxy s advance, they are both lying in between that of galaxy s and s2, still both ARE selling nicely. as to the plus moniker, it might just signify some minor bumps in specs like upping resolution to qHD or above, maybe increasing screen, bettering the processor and obviously the most important-a newer OS! That, i can't deny. +1 for that... Ok, maybe HD may not be but if Galaxy S plus is in between SI and SII, SII+ will definitely be between SII and SIII, no? I still think it'll be much better than SII. Oh, well...i guess i'll have to wait and see. One thing that many people don´t realize is that there are persons who don´t like to have humongous screens that can´t be used with one hand. Let´s see per brand: Motorola: rarzr m/i Sony: Xperia V/T HTC: one S But what has Samsung in screens smaller than 4.6 inches? The S3 mini (a joke) and the S2 (which is getting old, any of the above is better). So they probably have realized of that and are going to create a new S2 with better resolution, chipset (may be 4212, same as the old but overclocked by moving to 32nm) and battery. Or so I hope... I´ve been waiting for such a phone as I don´t like screens I can´t use with just one hand. Yeah, I'm with ya on that. Wowww when some one says what u just said to Nathan n relation to apple, u go off like a nuke. Now that Sammy's doin it, it's ok for people to want good cheap devices. There's a word for that...starts with an H ends with an e.
Just like the iPad mini won't sell to ppl like u, but lots of people want a good cheap iPad. Dude you r such a H????????. still could not get 'that' word. care to tell? Those are fairly high expectations for a phone based on a 2-year old model. I could see the S4, but I can't imagine it will come with a 720p screen. Otherwise it would be the SGS III Minus or something. lol...GS3- haha Gs3 minus sounds negative...i know it's a joke. But seriously, GS2 plus is better than GS3 minus...no?? Honestly, if I could have a Galaxy S3 in the form factor of a Galaxy S2, I'm all for it. Besides, why do all of these top-spec'd phones have to be 4.7 inches & up I would gladly take a 4.3 in. or even a 4.5 in. top spec'd phone with a decent sized battery. But that's just me. They already have a Samsung Galaxy Exhilarate, which is a decontented Galaxy S2 Skyrocket I think. Guess the S2+ would be a decontented GS3 in a GS2 shell? Dual core S4 and 720p display are high-end specs, the S2 Plus is supposed to be a mid-range device. So don't expect anything more than the same Exynos processor (possibly at a higher clock speed than 1.2Ghz) and a WVGA (480x800) SAMOLED Plus display (I should say that it would be possible that they have a qHD SLCD display though). Samsung has been doing this way before apple did "The possible arrival of the Galaxy S II Plus would mean that Samsung is adopting a very Apple-like and actually pretty logical approach to the market. What do we mean? Simple, Apple is using its older high-end products to today’s mid-range. Often, Apple would even pick up an old technology like the iPad 2 and use its screen and processor in new products like the iPad mini." Samsung is releasing too many devices. Pretty soon they will oversaturate themselves. How is that a bad thing? Public perception of Samsung (thanks to Apple itself) is that Samsung makes extremely competent phones that easily rival the iPhone. If this is the case (and it is, despite whatever dreams of an Apple-dominant market-share are floating around you skull) then market saturation can only be a good thing. Market saturation is never a good thing. Basic economics 101. And you are commenting too many hate comments... Samsung gives consumers alternatives unlike your so loved Apple!